SALEM, Ore. -- A new study has found that people enrolled recently in Medicaid went to the emergency room 40 percent more frequently than others, often seeking help for conditions that could be treated less expensively in a doctor's office or an urgent care clinic. The research, published Thursday by the journal Science, comes as millions of Americans gain health insurance this week under the federal health care law, many of them through Medicaid. The findings help inform a long-running debate about the effect of expanding Medicaid and suggest that hospitals and health officials around the nation should be prepared for an increase in emergency room trips in the coming months. The study is the third to arise from a limited expansion of Medicaid in Oregon five years ago. Demand exceeded the available funding, so the state used a lottery to randomly choose people for coverage from a waiting list. The lottery created two groups of similar people, one consisting of new Medicaid patients, the other a comparison group of people who weren't selected. It gave scientists a rare chance to evaluate the program in a randomized, controlled study -- the gold-standard for scientific research. 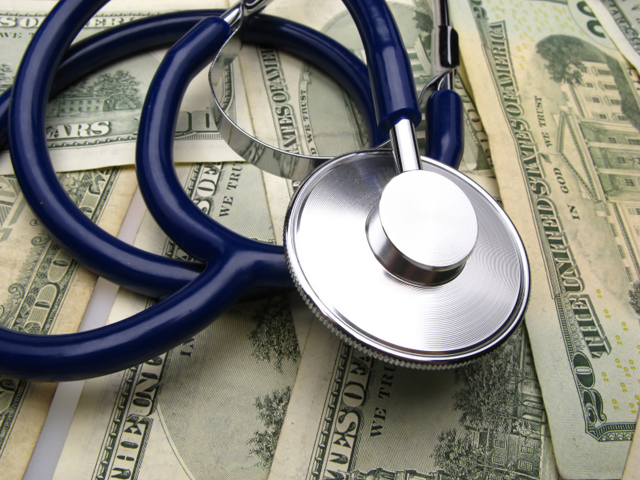 Taken together with the earlier findings, the latest research indicates that expanding Medicaid improves mental health and leaves patients more financially stable in the first two years. But it increases spending for hospitals, primary care and prescriptions and doesn't produce significant improvements in measures of physical health like blood pressure or cholesterol. "We've been able to eliminate some extreme views about the program," said Sarah Taubman of the National Bureau of Economic Research, the study's lead author. "In the absence of that evidence, there were some unduly pessimistic views and some unduly optimistic views" about the effects of Medicaid. Researchers used hospital records to look at ER use over 18 months for 25,000 people in the Portland area who entered the Medicaid lottery, some who were chosen for coverage and some who were not. Patients with Medicaid made, on average, 1.43 ER visits, compared with 1.02 for those who lost the lottery, an increase of 40 percent. The study also found that 35 percent of people who weren't selected for Medicaid made an ER visit during the research period. For those who gained coverage, however, the number was 7 points higher at 42 percent. Men were more likely than women to have additional ER visits, but there was no racial, age or other groups that saw a statistically significant decrease in ER usage among the people selected for Medicaid. ER visits increased both during nights and weekends and during typical business hours, when ER alternatives would generally be open. The additional visits were exclusively outpatient, and many of the Medicaid patients were diagnosed with conditions that could have been treated in a primary-care office. The study doesn't pinpoint a reason for the increased visits. In interviews, the authors said there's no data to know for sure but it's possible that patients are quicker to have their injuries and ailments checked out if they know they won't be stuck with a large hospital bill. Some patients may be visiting the ER on the advice of a primary-care physician. "When you lower the price of something, you're more likely to use it more. That's what we see when we look at the emergency department, hospitals, doctors offices, prescriptions," said Katherine Baicker, professor of health economics at the Harvard School of Public Health. Baicker and economist Amy Finkelstein at Massachusetts Institute of Technology are leading the long-term study into the data derived from Oregon's Medicaid lottery, including the two earlier studies. The authors caution against concluding that ER use rose because there wasn't enough access to primary care. Their earlier research found that Medicaid patients reported more visits to doctors' offices and use of preventive care. Oregon's expanded Medicaid population was relatively similar to the group that's gaining coverage under the federal health law, but experiences elsewhere might differ, the researchers said. Oregon opened Medicaid to a tiny share of its uninsured population, reducing the amount of strain on the health care system's capacity. Portland's low-income population is also disproportionately white compared to most other U.S. metro areas. Alissa Robbins, a spokeswoman for Oregon's Medicaid agency, said the state is aggressively working to reduce Medicaid costs - an effort that began after the period studied. The state has created incentives for doctors, hospitals and mental health providers, and some are targeting frequent ER users. "Increasing coverage and seeing people use more medical care isn't necessarily a bad thing," said Dr. Renee Hsia, an associate professor of emergency medicine at University of California San Francisco and a health policy researcher who wasn't involved in the study but reviewed it for Science. "The outcome that we desire is not that we don't have people going to see their doctors anymore. The outcome is that we have people who feel protected from (financial problems and) seeking care when they feel they need it."